My fellow New Yorkers, are you still looking for a gift for your Mom for Mothers Day? How about taking her to see a foreign movie? 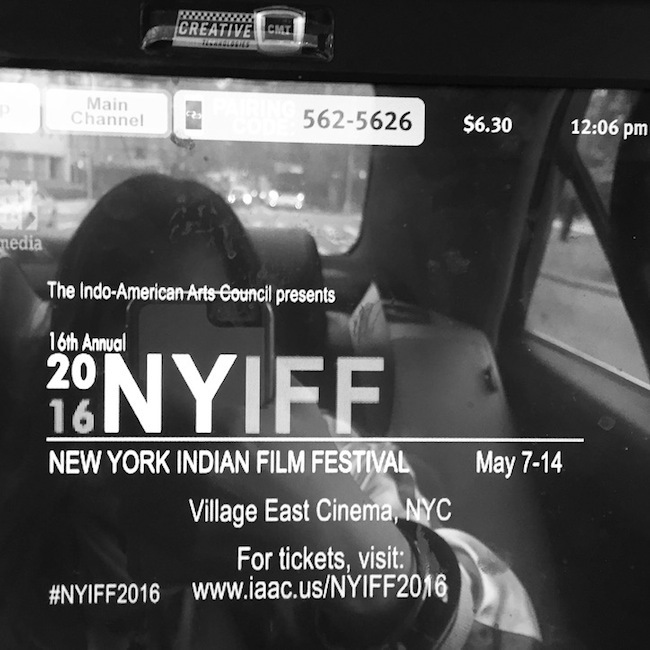 The New York Indian Film Festival is opening this weekend from May 7 - 14. I didn't know there was such a thing until I saw the ad at the back of the cab! Is reading subtitles not your thing? It doesn't bother me. I actually LOVE foreign movies. But I don't think I've ever watched a real Indian movie before. Slumdog Millionaire doesn't count! That was a British drama, not made by Bollywood. Well I'm curious now to see a Indian movie in Hindi or Tamil. It's something foreign to me. Bollywood is known to be one of the largest film industries in the world. That's why when I was in India I did say at the end of our trip that the one experience we missed was watching a Bollywood movie. Well, now it is here in New York! How about that? HA. I'm going! But I have no idea which movie to pick. Any leads? I'm hoping to see some amazing costumes, jewelry, and settings. If nothing else I will be transported back to India for sure. I'm excited to be in a different zone for Mothers Day! This is a different way of looking at travel…with no passport. Have a wonderful weekend. HAPPY MOTHER'S DAY to all. For those of you who aren't Mommies, and don't have your Mama's near by… enjoy your day off!